Winter this year has been brutal, we've been inundated with snow, ice, & freezing temperatures. My goal all winter has just been to stay warm because there's nothing worse then being cold yes I'm dramatic! 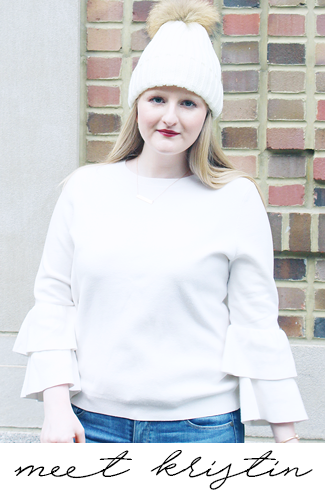 Since I walk to & from class I spend a lot of time outside battling the elements, & have a few items that I could not do without again with the dramatics. If you want to keep warm, while it's super cool outside you should definitely pick these pieces up. Knit Headband- I have been wearing knit headbands to cover my ears for a few years now. They keep shield your ears from the nasty wind & also look chic. Lately I've been rocking the one I got for Christmas; it's made from a fuzzy material & keeps my ears so warm. Gloves- The gloves that The North Face makes keep your hands toasty & protects them from the cold. I have really small hands, but their kids in size medium fit me perfectly! Keeping your hands covered is really important because it will help to prevent them from drying out & potentially cracking. Parka- My parents have always been adamant that my sister & I have good winter coats. When I was younger I thought it was so annoying that I had to have a coat on before I could go outside in the winter, but I am now so happy my parents did this because it got me in the habit of always wearing a coat. I have a coat similar to the one above, but mine is by Gerry Outdoors. I seriously cannot say enough things about how good the Gerry coat is. My Dad picked it up for me for Christmas last year & I was a little turned off because it wasn't the cutest thing (not terrible, just not my favorite), however I gave it a chance & am very happy that I did. It's great because it is a coat within a coat (you can wear them together or separately), like the one above. When I'm wearing my coat I am completely protected from the weather & do not feel anything, not even the wind! For once I will sacrifice my comfort for my fashion, but the look of the coat has really grown on me. Waterproof Boots- These are a must have for snowy days. I know a lot of people like the Bean boot, but I prefer to wear my Hunter's all year round. I've tried a few different rain boots, & Hunter is by far the best brand. Boot Socks- This is how 'winterize' my Hunter's. These boot inserts help to keep your feet warm, & I can definitely feel a difference when I wear them! 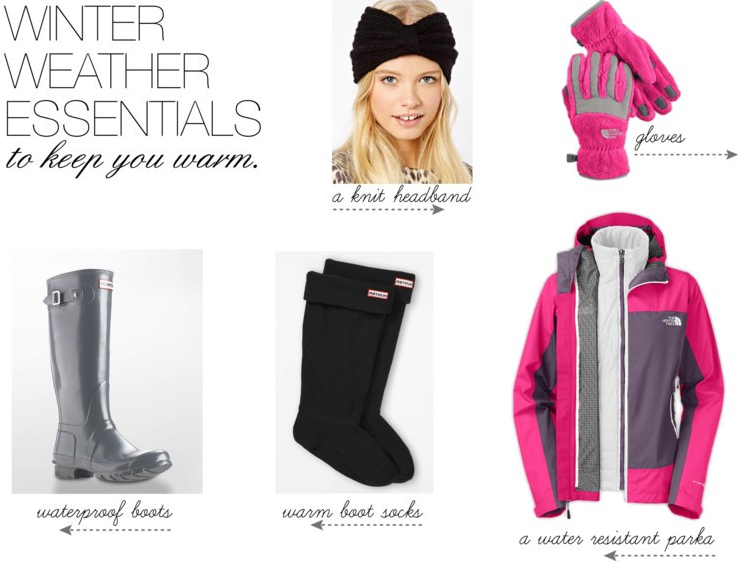 These are what I need to survive the winter! How about you? Do you have any of the same items or anything different? You're right, there is nothing worse than being cold!! I'm right there with ya, girl. Great tips. I really need some new winter gear! Those Hunter boot socks have literally saved my frozen toes this winter! I am just visiting here and thought I'd pop in and say hi! I am a Miami girl...through and through. I pride myself in owning about 5+ winter coats. Definitely too many for a Miami gal. Either way, a recent trip to Tennessee tested my shoe collection and by gosh, I wish I would've purchased a pair of those Hunter boots. They are to die for!! !